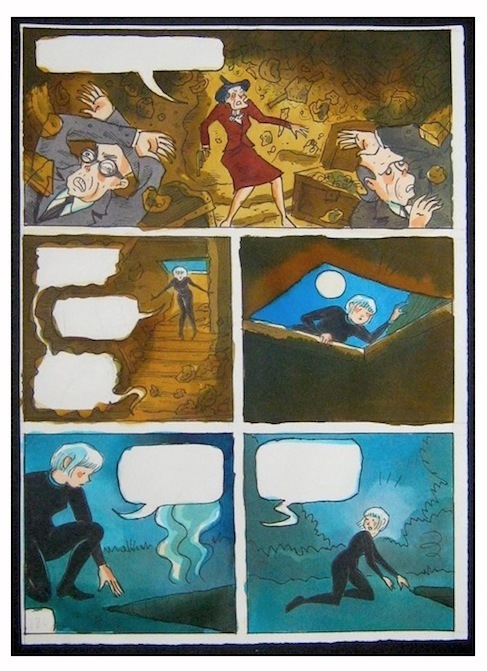 Preliminary color rough sketch for page from CAT BURGLAR BLACK. Watercolor and ink on 8"x11" watercolor paper, tightly trimmed (see photo). Will be neatly signed.